 eliveli men refreshes itself every day in order to offer the best aesthetic treatments for men and provide all the cutting-edge technologies. We develop personal aesthetic treatments by combining the best and most advanced aesthetic products for men with our extensive work experience and avant-garde beauty techniques. Wellness and aesthetics in one word: eliveli men. The Piroche philosophy is based on traditional Chinese medicine, which teaches how health was born from a balance between different parts of our body. The Piroche method goes beyond a simple concept of beauty by achieving a more important goal: wellness. Piroche‘s effectiveness and its 100% natural active ingredients guarantee the maximum beauty, health and well-being results. This method works differently on each person, it reduces stress and toxins, and helps a proper organism function. Treatment oils are applied on diverse meridians and energy points of your body, which will work together with a manual massage and suction cups to encourage skin absorption in order to increase the elimination of toxins.